Leon Coates was born in Wolverhampton and educated in Derby and at St John’s Cambridge where he was a pupil of John Exton for composition and Douglas Fox for organ. 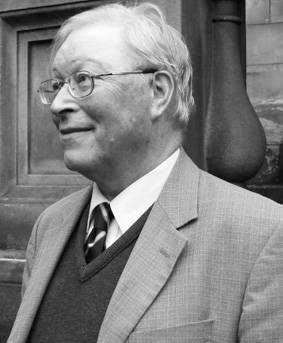 From 1965 –2002 he was a lecturer in music at the University of Edinburgh. From 1980-2004 he was organist of the Parish Church of St Andrew and St George in Edinburgh. His works include songs and song cycles, organ music, chamber music, concertos and music for concert band. August 2004 saw the first performance of a one-act opera. Some of his music has been broadcast on BBC Radio3 including the String Quartet and the cycle ‘Songs of Night’ both with the Edinburgh Quartet. Leon has extensive experience as a conductor. He conducted the Edinburgh Symphony Orchestra for many years, following on a decade as conductor of the Edinburgh Chamber Orchestra. He had studied privately in Germany with Dr Erich Böhlke of Oldenburg Opera as well as on a course with Sir Adrian Boult. He has also conducted a number of large-scale choral works eg Faure’s Requiem on the Fringe of the Edinburgh Festival. He has conducted the Edinburgh Studio Orchestra since 1987.